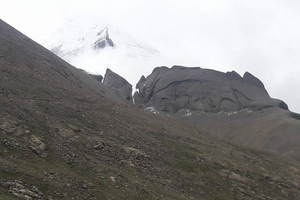 Shey Phoksundo Trek is an emerging adventurous trekking trip. 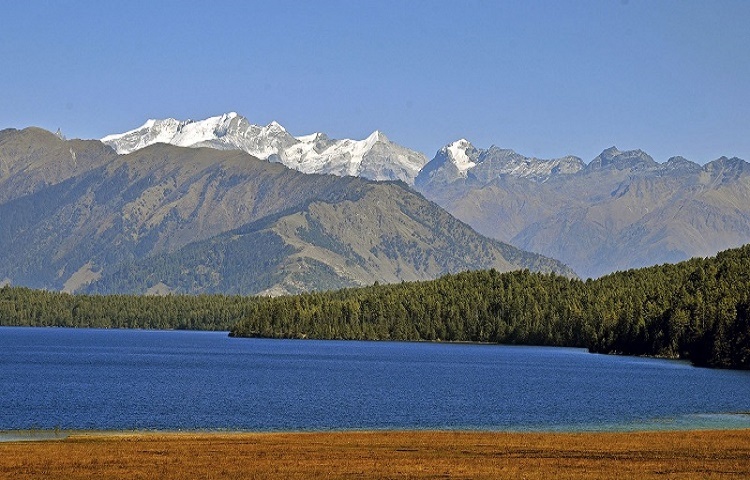 Phoksundo Lake (second largest lake of Nepal) is situated in Dolpa (Dolpo in Tibetan) district and lies is Shey Phoksundo National Park-largest National Park in the country. Absent of aquatic life and mirroring the snowy Kanjiroba massif, the crystal clear turquoise lake water looks heavenly. The trek is easy as no high passes are involved. Shey Phoksundo National Park is home to various species of rare flora and fauna and still preserves the centuries old traditions of Bon Po and Buddhism untouched by any sorts of modernization. The Crystal mountain is the same region is considered holy by the people of Dolpo. Shey Phoksundo trek starts once you reach Jhupal via flight from Kathmandu to Nepalgunj to Jhupal. From Jhupal we trek by riverside to reach Dunai village and then to Chhepka. We climp up steadily to Sumduwa and to Ringmo village. Finally, we make a steep descend through birch forests to magnificent Phoksundo lake. 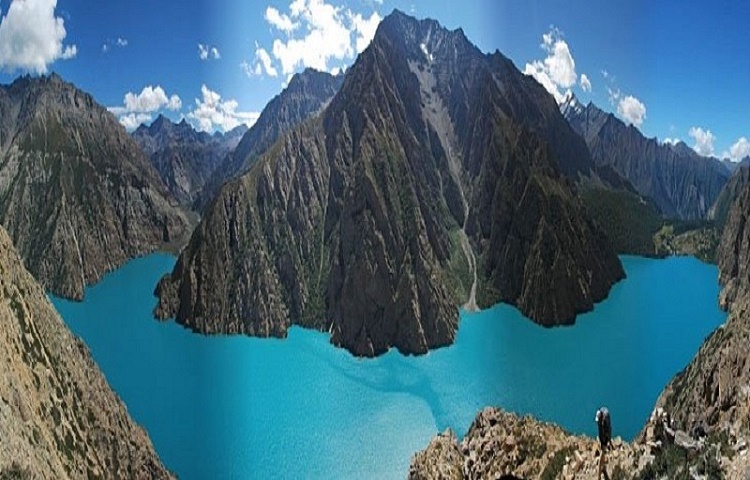 Also called the Jewel of Dolpo by seasoned travelers, Phoksundo lake, with its surrounding mountains and blue stable water of makes unforgettable scene for life. Ringmo village with colorful religious flags on homes waving with breeze is nestled in the area. 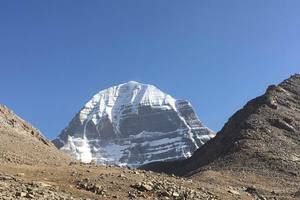 It is among the highest settlements on Earth. There are many beautiful glaciers near and above the lake area. After exploring around the lake we trek to Sangta and to Juphal for a return flight. The people in the National Park area follow the pre-Buddhist Bon Po religion as well as Buddhism. 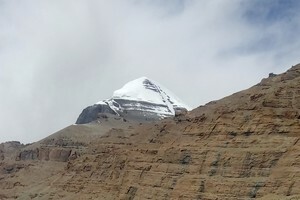 There are many gompas and religious sites. Shey Gompa, established in 11th century and Thashung Gompa built around 900 years ago are very famous. The National Park is important habitat for endangered species like snow leopard, grey wolf, musk deer, blue ship, Himalayan tahr and many more animals. It is home to 6 species of reptiles, 29 species of butterfly and over 200 species of birds. 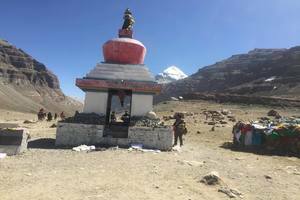 This trek takes you to one of the remotest and least exposed areas of Nepal, also isolated by difficult topography and offers rare opportunity to explore undisturbed territory and people. April to November is best time to visit. Day 06: Trek to Jharana hotel. Day 08: Phoksundo Lake rest day. Day 09: Trek to Sangta. Day 11: Flight from Juphal to Nepalgunj and Nepalgunj to Kathmandu. From Kathmandu we take a flight on any domestic carrier to Nepalgunj. Nepalgunj , a town in the western Terai , is very close to the Indian border and the Bardia Nationl Park. It is a major transport hub for western, mid-western and far-western regions of Nepal. Overnight at hotel. Today we take a 35 minutes flight to Juphal .Our trekking starts from Juphal .The trail descends and winds through local villages. We trek by the riverside and pass Roop Ghar with the water mill and finally reach the village of Dunai(2150m).Dunai has a village school, police check post and some government offices. It is also the administrative capital of Dolpo. Overnight at guest house. From Dunai we trek to Chhepka , which has few houses and a lodge. We will stay overnight at the local lodge. We rise early in the morning and after breakfast make our way towards Jharana hotel. The trail climbs through a forest of big cedars and on a winter settlement used by the people of Ringmo village. 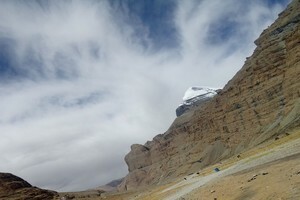 The route climbs steadily through open country to an elevation of 3370m. We get a close view of a spectacular 330m (The highest waterfall in Nepal), and a faraway view of Phoksundo lake. We stop for the night at Jharana (waterfall) Hotel. Today as we make our way to Phoksundo Lake, we make a steep descend through birch forests to the upper reaches of the Phoksundo Khola. We cross a bridge and follow a trail north to the ranger station at Phoksundo Lake. We continue to the shores of the lake near the point where the Phoksundo Khola(river) flows out of the lake. Phoksundo Lake is 4.8 km long, 1.8 km wide and is said to be 650 metres deep. Today we explore the area around the magnificent Phoksundo Lake. The lake is famous for its magnificent turquoise color and spectacular scenery. Ringmo village, which is a typical Tibetan village, is scenically nestled in the area. Many beautiful glaciers can be found near and above the lake area. There are many monasteries (Gompas) and Bon-po religious sites at the park and we spend our time visiting some of them. The most famous, Shey Gompa was established in the 11th Century. Thashung Gompa located near Phoksundo Lake was built about 900 years ago. We also explore the wonderful natural sites and enjoy our nature tour. After having breakfast we trek to Sangta after an enjoyable and insightful visit. We stay overnight at the hotel. We trek through Sangta to Juphal. Overnight at a hotel or lodge. We take a flight from Juphal to Nepalganj and from Nepalgunj we fly to Kathmandu. 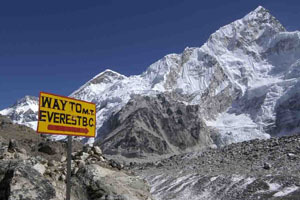 We will have a farewell dinner in Kathmandu onto the completion of trekking. Overnight at Hotel.